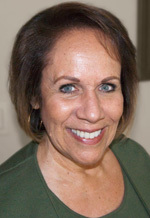 Mary Bornia is a California Accredited Consultant (C.A.C.) with over twenty years of experience in professional placement, fulfilling both permanent and temporary needs for companies of all sizes, throughout the Southland. Mary’s direct, straightforward approach in assessing both the needs of applicants and clients elevates typical placements to genuine career moves, an approach that has earned her the honor of never having lost a single client. Beginning her career with ten years at a major national placement firm, Mary quickly rose to the top of her field, being named Top Recruiter for several years running. Another six years was spent with a more specialized, “boutique” style placement firm, which has given Mary the knowledge and experience necessary to focus on creating successful, satisfying and fulfilling matches. She works very hard to find the best individuals and match them with companies that can benefit most from their unique talents and abilities.